Subscale is a destructive progressive metal band from Zagreb in Croatia. Their music is hard hitting and manages to perfectly fuse the influences of Lamb of God with djent and nu metal ideas. The end result is a bone breaking and devastating sound executed with a sniper-like precision. The crazed rhythm fills and hectic solos show the musical might and raw skill of the band. Add in to the mix some really cool industrial elements and you know that you're getting somewhere good. 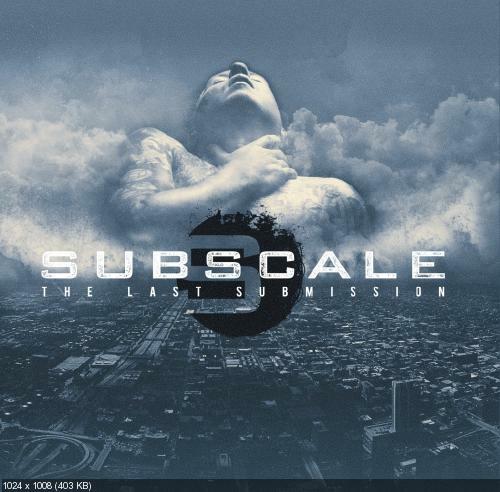 When topped off with beautiful production Subscales debut release The Last Submission seems like an all time prog great. The powerful riffing on songs like The Last Submission or Endgame allows the band to flaunt the heavier side of their sound. What's notable though is that their music flows nicely, seamlessly transitioning in vocal styles rather than relying on a good cop/bad cop style of singing. The nu metal groove helps to keep the music from getting to abstract and allows for some major moshing mayhem. Note that the amount of nu metal used in the sound is not at all obnoxious, instead it just adds a bit of flair to the music. This is flavored up by quite a few djenty riffs which help to bring in the magic of bands like Periphery. I really love the way it all fits under the production, which I must say again, is really fantastic. In conclusion, The Last Submission is a wonderful prog masterwork that shows a band capable of combining a diaspora of influences for an end result that is industrial yet still has mountains of groove. A truly interesting release worth many a spin Subscale have proven themselves capable of creating a deeply fascinating record that seems like it can stand the test of time. Cutting out their own breed of prog that has groove, technicality, and interesting electronic elements The Last Submission is a truly visionary and oftentimes inspiring record.